A good microphone in headphones is more important for communication than you think. Here are your top options. Built-In vs. In-Line vs. Boom Microphone. Which is the best? How Can Headphones Be Used as a Microphone? What is the Difference Between a Headset and Headphones? How to Get the Best Voice Quality with a Headphone Mic? Have you ever experienced a bad call with someone who had a horrible microphone and you could barely understand them? It’s maddening. And many people start shouting into their devices and keep repeating themselves. It’s not good. Hearing the other person clearly and without distortion is crucial for normal communication. Especially, if you make a lot of calls and have to talk to people professionally or where clear voice quality is expected. Thankfully, we’ve made a list of the best headphones with a microphone that’s better than the competition. Keep in mind, some of these aren’t dedicated talking headsets but just regular headphones with a decent built-in microphone. You have to adjust expectations for each category. Boom microphones with noise cancellation are much better. More on this below. 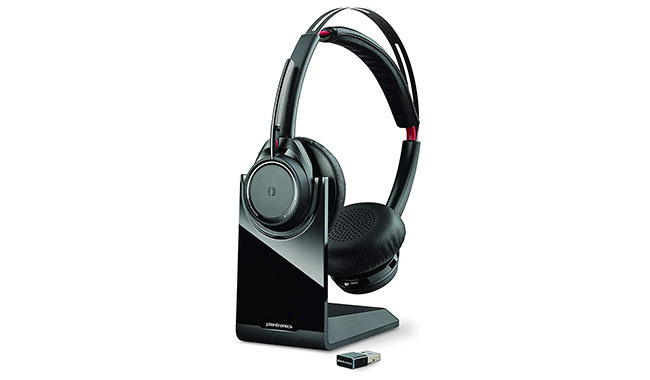 Plantronics Voyager Focus B825 is an on-ear wireless headset built for enterprise platforms. Best choice for office work. The comfortable and easy-to-use Bluetooth headset is ideal for active professionals that often use a computer or mobile communications in noisy environments. First of all, the Bluetooth 4.1 technology gives stable connection up to 98 feet (30 m) while the battery can provide up to 12 hours of talking (and roughly 15 hours of listening). The ANC (active noise cancelation) helps block out distracting sounds which is great for a noisy office. You also get the built-in smart sensors that automatically mute/unmute music (and answer/hang-up calls) by simply taking off the headset. It’s a really nice feature. Now, when it comes to the microphone, the mic-arm can be shifted to either left or right ear. And, soft foam earpads make it extremely comfortable and easy to use for multiple hours per day. When the headset is seated on the charging cradle, it leans to one side. This is a bit unpractical since the headset can swing around or even fall out of its crib. Even though the Plantronics headset is focused on delivering conference calls it has stellar sound quality. The sound is nice and warm with subtle bass enhancement, well-rounded treble and clear high-end. It also doesn’t distort on high volumes which is undoubtedly a plus. Plantronics has a long and well-deserved reputation for delivering high-end products, and the Voyager Focus B825 set surely fits amongst them. It’s the perfect headset for professionals who make calls all the time. 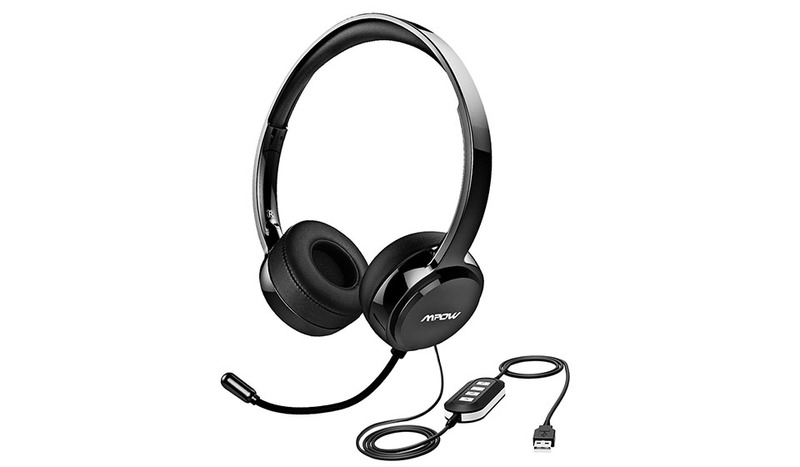 Bose QuietComfort 35 II are the best noise-cancelling headphones with a microphone (for a built-in mic). 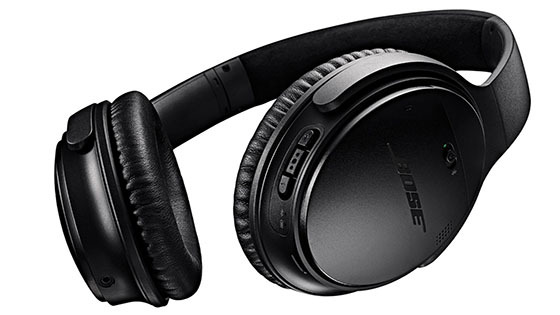 The QuietComfort 35 II are the premium headphones from Bose who are perfect for frequent travelers and commuters who want to enjoy their music in peace. Find other top noise cancelling headphones. Since the headset is predominantly plastic, it’s lightweight and thus comfortable to wear (even for trans-continental flights). In fact, these have the most comfortable fit among all premium ANC models. 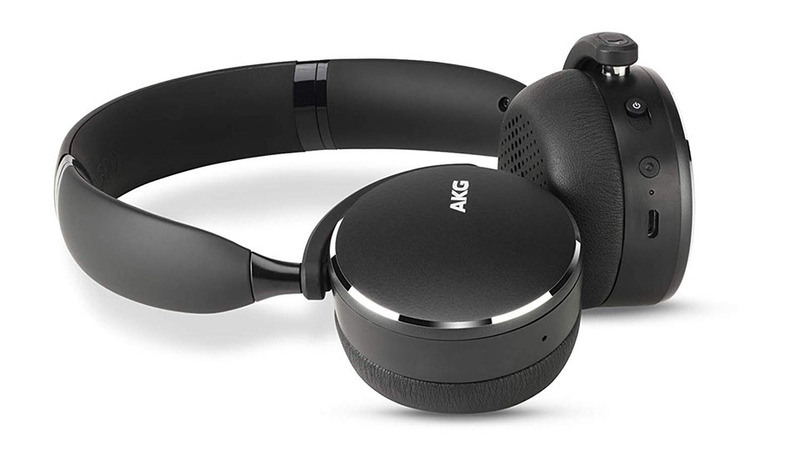 When it comes to technology, the Bluetooth 4.1 technology delivers stellar connectivity while the ANC enables three different stages of noise-cancellation. The battery lasts roughly 20 hours when using Bluetooth and 40 hours when wired (standby time is longer). But that’s not all you get. They also support Alexa and Google Assistant for simple voice control. Now, this isn’t a dedicated talking headset, but the mic is okay for calling on the go (at least better than with similar headphones). There’s no support for aptX which is a shame. Also, you should note these aren’t professional cans. 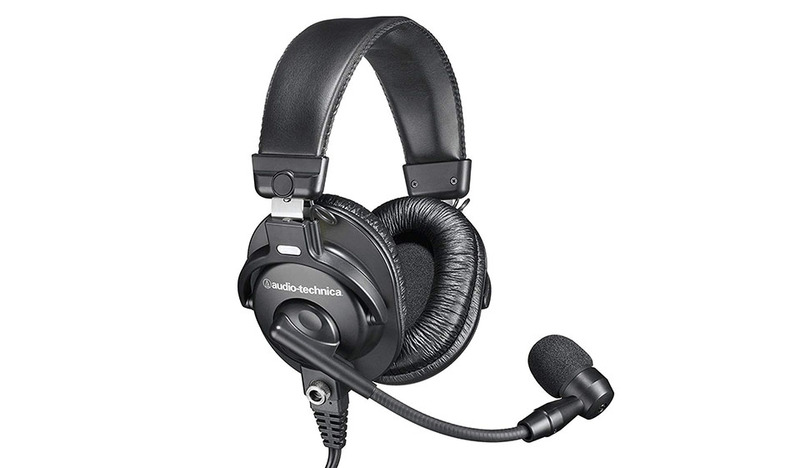 If you’re looking for super pro stuff, you should dig into the Bose A20 pro-aviation model. The bass is present but never overwhelming, the midrange is detailed, and the treble is crisp without getting all scratchy. It’s a smooth presentation that’s easy to listen to for hours without fatigue. If you’re looking for the best noise canceling headphones around, then your search stops here. With Bose’s traditional sound quality and comfort, the QuietComfort 35 II seem like a no-brainer. The BPHS1 deliver an all-around experience primarily created for on-air broadcasting, streaming or interviews. The Audio-Technica BPHS1 are quality over-ear stereo headphones that offer natural and focused vocal which makes them ideal for any kind of professional broadcasting or live-streaming. The closed-back stereo headset has a dynamic cardioid boom mic which creates a full frequency response and clear natural vocals. Plus, they’re firmly built and should last multiple years.Since these are closed-back headphones, they seal out background noise pretty nicely. Additionally, the boom mic can be positioned either left or right, and that’s surely a nice feature as well. Since they only come with an XLR cable, you can’t really plug them straight into a computer, and that means you’ll have to buy an extra audio interface, which means additional expenses. The sound is surprisingly good for a headset that was primarily built for vocal actions. The lows are punchy but clear while the highs are bright. The 40mm headphone driver translates balanced sound with a wide frequency range. If you’re into any kind of broadcasting or live-streaming, the Audio-Technica BPHS1 with precise boom mic and quality sound, are one of the best on the market. A top pick for pros. The Sennheiser HD 4.40 BT are well-designed, quality wireless headphones created for everyday music listening on the move. 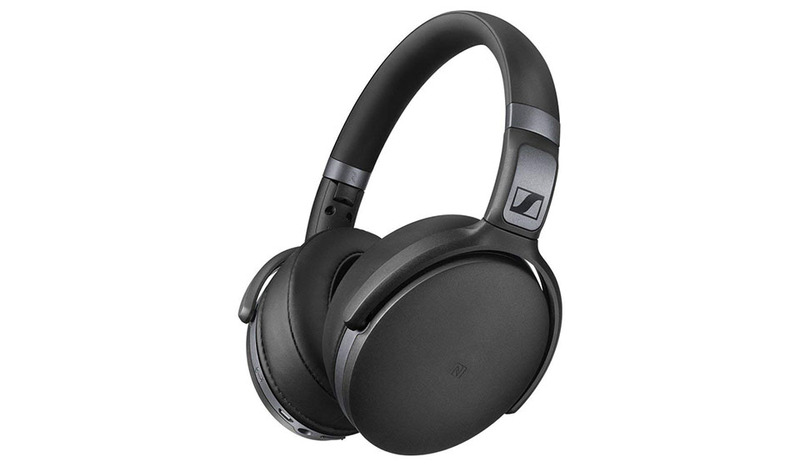 You can’t really go wrong with Sennheiser, and this over-ear headset is perfect for active users that are seeking for a trendy wireless headset that would add music to their daily routine in style. The NFC, Bluetooth 4.0 and aptX support offer plenty of flexibility and the best wireless audio quality. Now, the battery can deliver up to 25 hours of playback (and talk time) which is quite respectful. Its foldable headband design allows users to safely store them in the supplied protective case which makes them super easy to carry around. Even though these are classified as over-ear headphones, the earpads are slightly smaller and can press on your ears which can be a bit unpleasant. You have to keep in mind the built-in microphone is a secondary feature here, so it can’t compare to dedicated talking headsets. Sennheiser did their homework when it comes to sound quality. The highs are crisp, the mids are well-rounded, and there’s plenty of low end. There isn’t any distortion when you play them on higher volumes, perfect for all music on the go. If you’re looking for a good pair of Bluetooth headphones that have excellent sound quality, good comfort and have a solid mic, then Sennheiser HD 4.40BT are a solid choice. AKG Y500 are the best foldable headphones with a mic at the moment. If you want portable on-ear headphones with fantastic sound quality, durability, comfort, and modern features (for a reasonable price), these are for you. A brand new model (released in 2018) has a lot of features. Together with Bluetooth 4.2 technology you also get Ambient Aware mode which is basically a “half-mute” button for when you need better awareness. You also get a quick charging battery (5min charge for 1 hour of music) that gives up to 33 hours per single charge. The on-ear headphones are foldable, have an aluminum casing, memory foam earpads, and built-in remote control and microphone. Plus they come with a 3.5mm cable with remote and mic as well, for when you want to go wired. What’s unique about them is the automatic play/pause function. It pauses music when you put them off the head and plays when you put the cans back on. And, they also support multipoint connectivity. What’s more to ask? Pricier than the competition since these are premium wireless on-ear headphones. It’s typical AKG sound signature, balanced and rich in detail with a nice amount of bass. They’re perfect for all types of music, including jazz, classical and rock. Support for AAC codec helps with higher audio quality over a wireless connection but would be better if they had aptX as well. One of the best (if not the best) Bluetooth foldable headphones available right now. With lots of latest technology and great sound (plus built-in and in-line mics), you are getting a quality pair of headphones you can confidentially anywhere. SteelSeries Arctis 7 wireless headphones will bring you the ultimate gaming experience. The Arctis 7 are on-ear wireless headphones perfect for gaming enthusiasts that are looking for a reliable headset. It fuses stellar sound quality with attractive looks and precise boom microphone. Check the best gaming headsets here. The 2,4GHz connection delivers spot-on wireless audio with low latency and zero interference. The Discord-certified ClearCast mic presents precise voice clarity and good background noise cancellation. And, the rechargeable Lithium-ion battery delivers more than a day of gaming experience which is surely appreciated by passionate gamers. The gaming headset is advertised as mostly PC orientated and it does sound better than using them with PS4 (due to lack of virtual surround sound). Also, the mic is sometimes too precise and can capture your breathing which can be annoying to other gamers. So, make sure you don’t have it too close to your mouth. The S1 speaker drivers produce “super-natural” sound quality with present bass, warm mids, and bright highs. It’s also equipped with DTS Headphone:X which is a smooth virtual surround sound. But it’s only supported on PC. 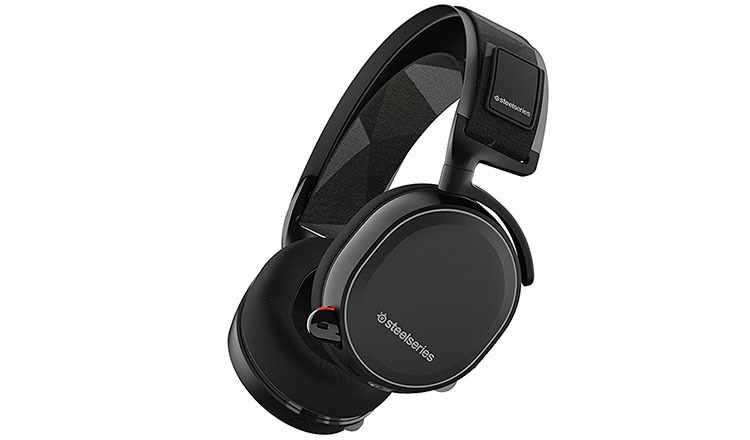 SteelSeries Arctis 7 wireless model is a top choice in its category. Functional design, excellent battery life, stellar sound, and precise microphone makes it a no-brainer for a gamer. The Mpow Jaws are cheap wireless neckband earbuds with a solid microphone. Mpov Jaws are super light, nicely designed wireless neckband earbuds with a proper position of the microphone (and thus better performance). The CVC 6.0 noise cancellation microphone filters out the background noise when making phone calls. It’s a noticeable difference in a loud place. Also, the wireless Bluetooth 4.1 allows auto switching between music and calling. With the light weight of 1.2 oz, your neck won’t suffer, and the built-in magnets keep the buds in place. What makes the microphone better is their position in the neckband that’s placed closer to your mouths. It helps with mic voice quality. Anyway, the rechargeable battery provides up to 13 hours of music and talking which is solid for budget earbuds. Whenever retailer offers a cheaper headset, they have to compromise somewhere. In the case of Jaws, the compromise was made in sound. It could be better. Due to the neckband, they are unstable for sports or any other activity. As mentioned above, the sound is nothing special but okay (for cheap earphones). The bass can sound boomy while treble lacks real presence. But if you’re spending little money, you can’t expect great audio quality. With great noise cancelling microphone, light design and budget-friendly price, Mpow Jaws make a great headset to use for simple office tasks or routine home activities. Mpow 071 is a budget on-ear USB headset with boom microphone made for office work. The 071’s are super comfortable on-ear USB headphones with great microphone and low price range. This makes them ideal for any kind of voice operating activities such as chats, calls, presentations and more. The built-in unidirectional microphone picks up your voice loud & clear and also reduces background noise. The noise reduction sound card in the control box lowers noise output from devices, therefore, providing distortion-free audio in both ways. When it comes to comfort, the headband and foamy earpads provide enough of it for daily usage. The connection is possible with USB or 3.5mm wired plug. The mic can only be positioned on the left side of the headset. But it’s a budget product, so it’s acceptable. This headset was mainly built for voice, so it has a lot of low-end and limited high end. This makes the vocals sound warm while it may be too much for music. 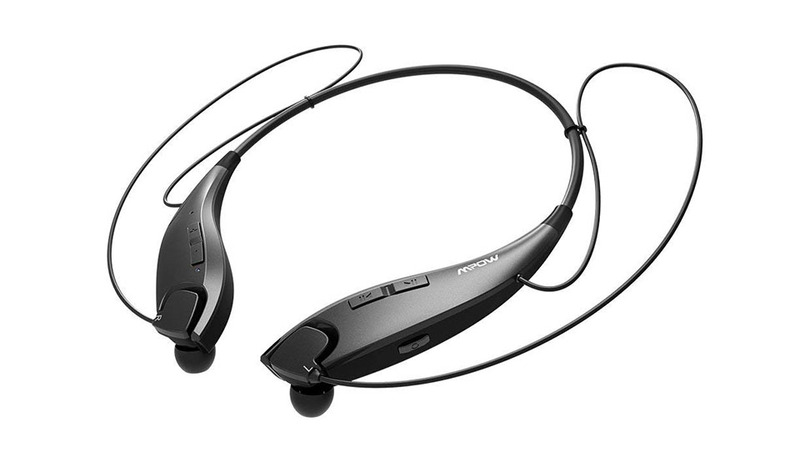 If you’re looking for a cheap headset that you’ll use for Skype, conferences or presentations, then Mpow 071’s should definitely be your first choice. 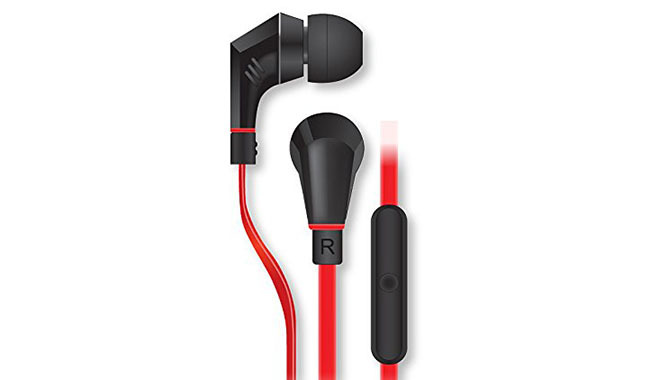 The Naztech NX80 in-ear monitors (earbuds) are affordable wired buds with a better-than-average mic. The NX80’s earbuds combine attractive looks with solid performance for a low price. This makes them ideal for active users that are looking for a stylish headset with a smooth sound and solid microphone. Now, you have to keep in mind these earphones are as basic as they come. And while the in-line microphone can’t compare to boom mics, it’s better than most competitors in the same category. The passive noise isolation blocks annoying ambient sound and the in-line noise cancelling mic blocks background noises. There’s a difference between the two. In the end, this makes your voice sound clear and crisp. An easy-to-use multifunction button allows you to control calls and music. The flat cable is designed to prevent tangling but it’s somewhat sensitive so, you should be cautious. Treat it nicely. The 8mm neodymium drivers produce dynamic, quality stereo sound. The thumping bass gives subtle warmth while the mids and highs aren’t too aggressive. It’s a pleasant and healthy sound considering the cheap price. If you’re looking for comfortable, good-looking, low-priced, earbuds with solid in-line mic, then Naztech NX80 are the way to go. Many manufacturers claim their microphones are noise cancelling but that’s not always the case. All of them mix passive noise isolation with active noise cancelling. The two are entirely different. Nonetheless, both play a role in how good of a call quality you get. cVc (Clear Voice Capture) is noise canceling technology. Most headphones (with Bluetooth) which claim noise cancellation use cVc technology made by Qualcomm (the same company that makes aptX). It’s a set of algorithms that cancel out background noise like wind and traffic. It helps with better voice quality so you can have clearer and more understandable conversations (in normal situations). However, cVc has limited effectiveness but does make a difference in many cases. Just don’t expect it to deliver a perfectly clear voice in noisy places. Because it won’t. It’s a nice technology to have in your Bluetooth headphones but isn’t critically important. Uni-directional is better than omnidirectional (for calls). There are two types of microphones. The difference between the two is in their design. The uni-directional mic picks up voices and sounds from one direction while the omnidirectional microphone picks them from all sides. This can make a huge difference when making a call in crowded public places. Usually, a uni-directional microphone is better for making phone calls with your headphones. Omni-directional mics are more sensitive and thus pick up more ambient noise from the environment which makes it harder to talk. On the other hand, the omnidirectional microphone is a better option when you want to capture all the sound around you. When making videos, streams, interviews, etc. You can read more about the difference between omni and directional mics here. There are many uses for a mic, but when it comes to voice quality, boom microphones are the best. The ability to pick up your voice right before your mouth gives them an unfair advantage in sound quality. Your voice will come out clear and easy to understand. But boom mics are big and clumsy and not useful for portable headphones, plus they get in the way. This is why most headphones either use a built-in or in-line microphone. Unfortunately, these aren’t the best for making phones calls but are a lot more convenient. Built-in microphones are most common in wireless Bluetooth headphones. In-line microphones are more common in wired headphones (since the module is on the cable). 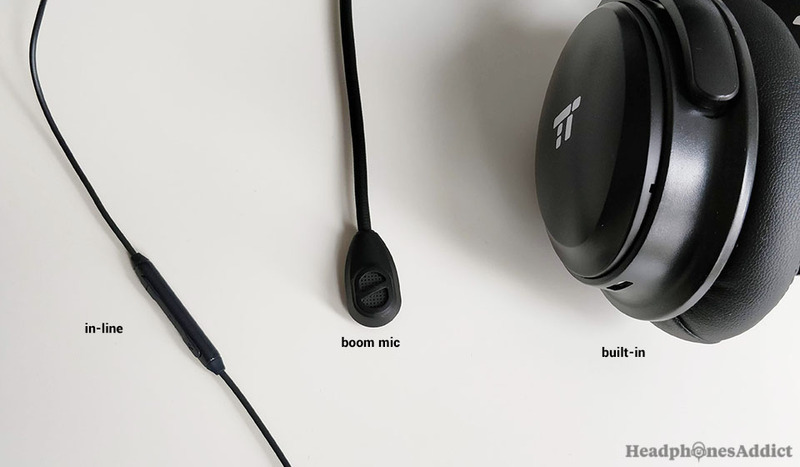 3 types of headphone mics: in-line, boom, and built-in. The reason why they don’t always capture clear voices is that they are further away from your mouth. This creates problems. Many times the mic will pick up other sounds before your own. While you can help by putting the in-line mic closer to your mouth you can’t do that with a built-in one. But that’s the price of wireless headphones. If you prefer microphone quality over convenience get a headset with a boom mic. If headphones have a microphone, it’s pretty straightforward to use it. For Bluetooth headphones, you just have to connect them to your device, and in most cases, the microphone will be activated automatically. If not, you can usually change the settings in your device to use the correct mi. For wired headphones, it’s often the same. The microphone will automatically become active, like after plugging them into a smartphone. When that doesn’t happen, you have to see if your device recognized the headphones as having a microphone (so you can select it in settings). These are general tips, and specific situations depend on the device and software you use. The headphones can lack a microphone and still be called headphones (just for music). While a headset needs to come with music drivers and a microphone, otherwise it’s not a headset (music and calls). That’s pretty much the difference. Of course, many headsets are often called headphones. Independent from the type of microphone you have but when you notice the caller is asking you to repeat yourself, try to find a quieter place if possible. Isolating yourself from the source of noise is always helpful. If you’re running with your headphones, the noise from breathing and moving can be very distracting. So, stop or slow down for the time talking. Another thing that might help with in-line (the ones on the cable) and boom microphones is to pull it closer to your mouth. This will pronounce your voice over ambient noise. Apart from that, there’s not much else you can do. Thank you for checking our guide. We hope it was of use to you and if you haven’t found headphones you were looking for, you at least know something more about microphones in headphones.